First of all, sorry it is so depressing. That’s my bad. But just listen to “Oversky” with headphones. Hear the pedals of Luke Howard’s piano. Hear Nadje Noordhuis take a breath before she breathes life into her trumpet. It is a sound that, to me, is both relaxing and tragic – like a rainy night. The first time I heard this song, the scene that I saw in my head was that of a man driving his dog to the doctor to be put down. The image I saw in was him adjusting the rear-view mirror to get a better look at his dog, lying in the back seat. He’d think of all the memories they had together, and maybe stop at the beach on the way. It was a fine scene to tell, but the more I thought about it, the more I thought about my own dogs, past and present. And then I remembered, so clearly, those two car rides from my childhood. Lady ran into my dad’s high school classroom one afternoon. Security was much more lax back then, and I suppose that any creature was welcome to run right in through the open doors. Her first meeting with my dad was brief – she ran in and out, leaving everyone puzzled. 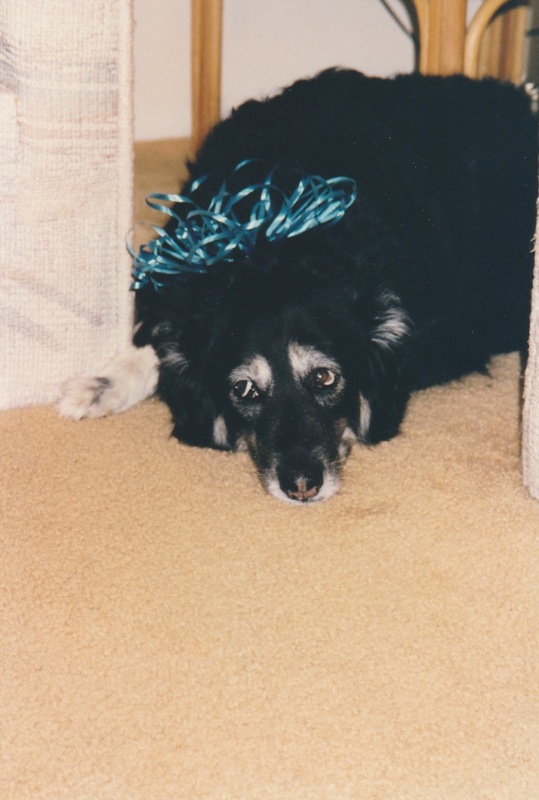 Our previous dog, Happy (of whom I have virtually no memories), had died a month before. So a homeless, housebroken dog somehow finding its way into my dad’s classroom seemed like one of those destiny things. At the end of the day, my dad inquired about the dog, and found out that nobody had claimed her. One of the other teachers had taken it home for the night. So that night we drove and picked her up, which is where the W+M begins. I was just three years old, yet the adrenaline of getting a dog etched that moment into my brain. The other major memory I have of her, of course, is the memory of watching her die – an experience that will be with me for the rest of my life. There is something haunting about witnessing the moment that a living creature goes from life to death, and how different the body looks once its life has gone. I will never forget the way she stretched out her paws as she left us. The thing that strikes me the most is that, as clear as the memories of the beginning and end were to me, there are hardly any in-between. That isn’t to say that I don’t remember her. I still remember the way she’d always sleep in my sister’s room and how jealous that made me. I remember her staying far away from my room when I’d practice my trumpet. I remember how I’d run back and forth with her along the fence during elementary school recess, since we lived next door to the school. But none of those memories in the middle come close to our first and last night with Lady. None of them have that instant recall that brings me back to that place, the way a smell sometimes brings you back to an unthought-of place from your childhood. But it is a good lesson. 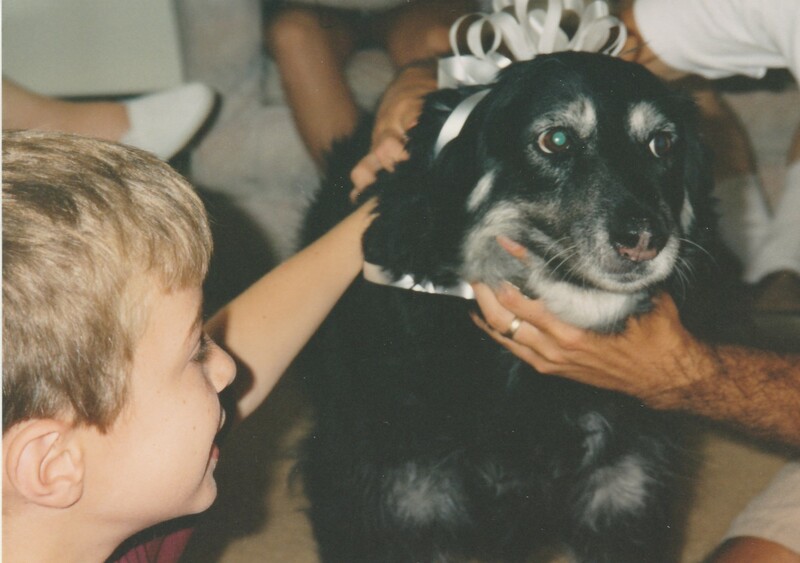 Even though I was just a kid, I could have cherished my time with Lady more. To not take her for granted. Jess and I talk, much more than we should, about what we will do when our two dogs die. We discuss, at length, how much time off we will need from work and how many therapy sessions we will need. It is sad and morbid, I know. But it makes us love them so much more. They will die before we will, and I think it is important to remind ourselves of this simple fact, perhaps to enhance our ability to treasure the day-to-day moments. Much like those childhood memories, I fear that the good times will easily fade from my memory. The beginning and the end will be easily evoked forever — the trick is to keep alive those in-between memories that will make the start and the end so meaningful. Did this make you sad? Cheer up with a happier dog-related post. Yes, very sad. But sad makes us appreciate more, doesn't it. PS. You are so flipping cute in that picture. Yes, I'm sad. When Harper the smooth collie/malinois died last year I told him to fly away to heaven with the angels. I haven't seen you in a long, long time.